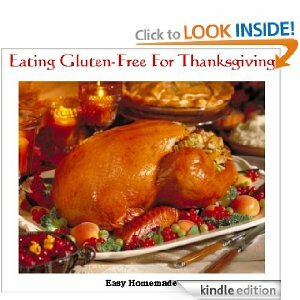 FREE Eating Gluten-Free For Thanksgiving E-book! Eating Gluten-Free For Thanksgiving Kindle book is currently available to download for FREE at Amazon! It looks like most of the recipes could be easily converted to be top-8 free too. There is only one review and it doesn’t seem very applicable. It gave me a good laugh though! Prices tend to change quickly on Amazon, so please double-check your shopping cart before you check out. Don’t have a Kindle? You can also download Kindle books to your Iphone , PC, Mac, or Blackberry. Totally going to check this out for Christmas. Just missed Thanksgiving. Gluten Free is just a better way to go.